Walt Disney World in Orlando, Florida is the most magical place on earth. Sure, it’s cliche, but it’s true, too. World travelers or not, we’re total Disney lovers – and ever since my stint as a Cast Member in college, Disney World feels a bit like home. But it’s the kind of home that you can’t afford to visit all the time. Like if your family lived in a castle on an island and you didn’t get the keys to the private plane. Which means we’ve gotten kinda creative about saving money while maximizing our Disney vacations. One of our favorite ways to stretch out our tiny budgets is to take advantage of the all the free stuff at Disney World between the days we spend in the actual parks, such as the Disney World resorts. We’re able to extend our Disney Vacation by several days while saving hella skrill on park tickets – and still getting our fix of Disney magic! The Disney Resort Bar Crawl came into being on our last trip to Disney World, when we were spending our extra days exploring the amazing Disney World resorts. There is so much to see and do at the Disney World resorts, and like many of the best things in life, it’s best seen and done drunk off of extra AF Disney drinks. And so, driven by a need to experience that Disney magic on a budget, we developed a Disney Resort Bar Crawl that will get you your boozey Disney fix, all without entering a single park. Oh, and it uses Disney’s free transportation, of course. Everyone knows about Drinking Around the World at Epcot – and a few folks have probably even heard of the Monorail Pub Crawl – but we’ve developed a huge, comprehensive Disney Resort Bar Crawl, all without needing a park ticket. Disney World on a budget? Check. Disney magic galore? Check. Boozy Disney for adults fun? Um, check! Grab your ID and leave the kids behind – you’re going to have a blast on this Disney Resort Bar Crawl! 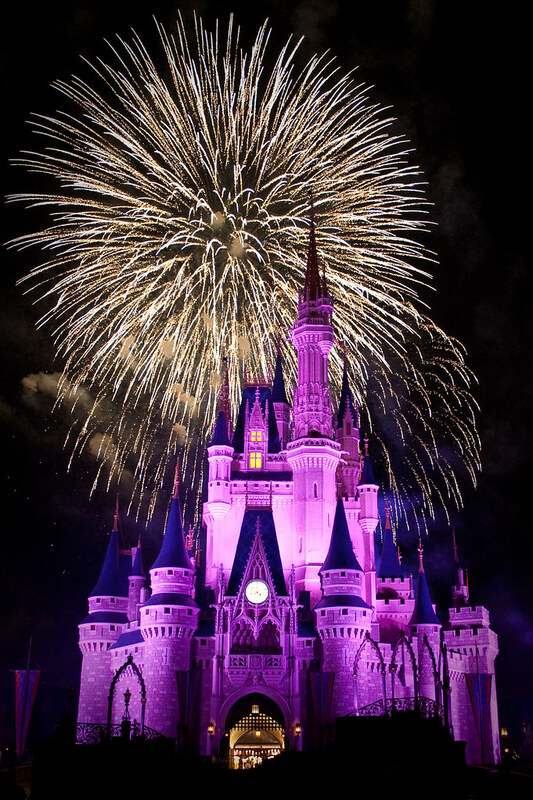 End Your Disney World Resort Bar Crawl with Fireworks! Oh, hey: if you’re looking for a magical way to bring your next Disney World trip to the next level, check out our epic Disney World Scavenger Hunt! With 250 points at stake and 75 challenges designed to help you discover and experience Disney World like you never have before, this game will bring a whole new level of fun (and friendly competition – or unnecessarily aggressive competition, in our case) to your next Disney World trip. Oh, and YES: We intentionally added in quite a bit of overlap with our Disney World Resort Bar Crawl, so you can earn points while you throw ’em back. Complete them together for a pretty freakin’ drunken magical day! Download the FREE printable version of this Bar Crawl to make your Disney World trip a lot more magical. Enter your details and we’ll send it straight to your inbox, along with our best Disney travel tips! Get the Disney World Resort Bar Crawl Printable! You could bookmark this page OR you could download our ridiculously useful step-by-step printable PDF. Save your drunk future self some hassle! Awesome! Check your email for the printable. Make sure to add contact@practicalwanderlust.com to your address book so we don't end up in spam! Psst: Planning a Disney trip? Check out our other Disney posts! Ok, so it’s not alcoholic, or at a resort, but this yummy frozen Le Fou’s Brew at Gaston’s Tavern in Magic Kingdom is freaking delicious anyway. So, there are bars, and then there are Disney World Bars, which are on their own sphere of existence. Disney World is home to some truly amazing bars, full of delicious unique Disney drinks. As with everything Disney touches, the bars at Disney World are totally themed, expertly designed, full of delicious drinks, and incredibly fun. Drinking at Disney is one of our favorite things to do at Disney World for adults. But with so many Disney World bars to choose from, which one should you visit? The answer is all of them. Okay, not all of them. You’d end up in a hospital. But you can hit a whole bunch of them at once by doing a well-planned Disney bar crawl, like the one we’ve designed. Not only do you not have to go into the Disney Parks to do our Disney pub crawl, but you don’t even have to be a Disney Resorts guest, either! In planning our Disney Resorts Bar Crawl, we did our best to drink ourselves under the table … just for you! Ok, no, it was totally for us. You guys are just a bonus. We examined almost every Disney World bar that didn’t require a park ticket, and drank as much as we possibly could (you know, like for research). Then, we took the best bars of the bunch and mapped them out using free Disney World transportation, for that Disney World on a budget vibe. After much careful research and evaluation (and a LOT of drinks), we constructed the ultimate bar crawl through the Disney World Resorts! The only thing more useful than our Disney World bar crawl when it comes to planning your next visit to Disney World are the Disney Vacation planning videos that Disney produces (you know, like the ones you used to have to mail-order on VHS)? Sometimes I just like to watch these in between Disney parks visits (when I’m trying to fight my Post-Disney Depression) and cry happy tears. Don’t judge me. Just watch one and tell me you don’t tear up a little bit. They’re freaking magical. OK, now that I’ve gone down another Disney Parks video rabbit hole, back to the point: delicious Disney booze. Here’s what you need to know before setting off with your besties to explore the wonderful world of Disney bars. You don’t need to pay for anything other than drinks to pull this Disney pub crawl off. No park tickets, no entrance fees. Not even parking! We’ve worked it all out for you to be as budget-friendly as possible. We designed the Disney World Resort Bar Crawl to be accessible for non-Disney World guests. If you ARE doing the parks, there are certain perks we won’t mention (like parking at your own resort, or entering a park to drunkenly ride Rock N’ Roller Coaster several times in a row via the single rider line. Stuff like that). You should be able to do this bar crawl without being a guest at a resort or visiting the Disney World parks at all. Pretty much every form of FREE Disney World transportation comes about once every 15 minutes. This could mean reaching your destination could take up to an hour if you have a transfer. Allow plenty of time to get from point to point. Generally though, that’s a good thing, because pacing yourself between delicious Disney drinks is safer and probably better for your liver. If at any point, you don’t want to follow our transportation instructions, you can always take Mears, the on-property Disney World cab company. Just ask a friendly cast member for assistance. You will be visiting some Disney Resort pools, but you ARE NOT allowed to swim there unless you are staying at that resort! Pool hopping/pool crashing is taken very seriously at Walt Disney World, and will result in being kicked off of the whole property, not just the resort. Don’t do it. Also, side note? Drunk swimming is dangerous. Be safe. This Disney activity is 21+ and for adults only. I mean, I hope that’s clear, but just in case, let me reiterate. This is the kind of Disney activity you do for like, a Bachelorette party. I’m just gonna be blunt here: you’re going to be really drunk. You can combine the Disney Resort Bar Crawl with the Disney World Scavenger Hunt. There’s a lot of overlap, and we think you should take full advantage. Check out the Disney World Scavenger Hunt! Now that we’ve gotten the basics out of the way, let’s talk logistics. When to Start: We recommend beginning the Disney Resort Bar Crawl at around noon. If you don’t mind judging eyes, start as early as 11AM to allow extra time. You’ll be drinking well into the night to complete the bar crawl (or however much your body will allow you). Where to Park: Park at the free surface parking at Disney Springs. It’s kind of a weird spot to park, I know, but it’s the only free parking on Disney property. Walk the long distance to the Town Center area, where you’ll find the bus terminal. Note: if you’re lucky enough to be a guest staying at a Disney World Resort, park at the Ticket & Transit Center, which is a good central hub for Disney World transportation. This whole Bar Crawl thing is a lot easier with printable directions. You’re gonna get drunk, you’re gonna forget what comes next, you’re gonna lose your phone … it’s a whole mess. Avoid the hassle and download the handy printable instructions we made instead! To download a printable copy of the Disney Resort Bar Crawl directions, just enter your email below. I’ll also send you my favorite insider Cast Member tips for visiting Disney World! You’ll start your Disney Resort Bar Crawl with ice cold Margaritas at the sunny poolside bar of Siestas! After parking your car at Disney Springs, hop on a bus to Disney’s Coronado Springs Resort, the first stop on our journey. At Disney’s Coronado Springs Resort, you’ll be starting out your day of drinking with some Mexican-themed poolside refreshments. Walk through the lobby and ⅓ of the way around the lagoon (counter clockwise) you’ll reach “The Dig Site,” a big heated pool sitting at the feet of a giant Mayan pyramid. Sorry, you can’t have a go on the waterslide. Next to the pool is one of Disney’s Coronado Springs’ bars: Siestas Cantina. The other (far more posh) bar on site, Rix Lounge, unfortunately doesn’t open until 4, but don’t you worry. Siestas offers everything that Rix Lounge does for slightly cheaper (except a margarita flight, but maybe if you ask really nicely Siestas will give you one). Our favorite drinks at Coronado Springs are the Mango Blueberry Basil Margarita, the Passionfruit Margarita, and the strawberry mango Margarita Fiesta. Sooo … margaritas. After your delicious Margarita, walk back to the bus stop you were dropped off at (at the entrance of Disney’s Coronado Springs) and take the bus to Disney’s Hollywood Studios. Once at Hollywood Studios, walk to the right of the gates, where you’ll find the ferry. That’s right. You’re going to take the boat to the next bar. The Leaping Horse Libations bar at Disney’s Boardwalk Resort is one of the stops on the Disney pub crawl. The Boardwalk, like those in the real world, has a lot to offer in the way of booze, food, games, and shopping. This is the point where we offer you a choice: margaritas, beer, or fruity and frozen cocktails by the pool? Or screw it, do all three. Here are your Choose-Your-Own-Adventure options. If you’re feeling the Margarita vibe and want to keep it going, check out Joe’s Margaritas, a little drink stand located smack dab in the middle of the boardwalk. Their drink options are: Classic Marg, a margarita made with Patron (ooh you fancy huh? ), and Strawberry or Watermelon Margaritas. It’s a simple stand, but you can’t go wrong with it. In a beer mood? Head to The Boardwalk Grille. They brew their beers in house, so this is the only place on the property to enjoy them. The best part of this place? Their beer flights include SEVEN beers for the INSANE price of just $8.50! That’s cheap even for bars not at Disney World. This beer flight is my favorite budget-friendly Disney drink. Want to keep the pool bar vibe going? Walk toward Disney’s Boardwalk Inn and find their pool bar, The Leaping Horse Libations. You’ll notice a different selection of frozen drinks here, and you’ll probably want all of them. Something to keep in mind is Leaping Horse has the same menu as most of Disney’s bars, so you will see this menu one more time on this crawl. One reason it’s included here is the carnival theme is pretty rad. Whatever your drink is, once you’re done walk to the end of Disney’s Boardwalk (the side with the ESPN Store) and continue along the path until you cross the bridge. Here you reach the next stop: Disney’s Yacht and Beach Club Resort. A delicious Guinness Float made with chocolate syrup and vanilla ice cream at Beaches & Cream in Disney’s Yacht & Beach Club! This stop has some of the most unique drink options on the Disney Resort Bar Crawl. S’mores: a decadent concoction of liqueurs, ice cream, marshmallow, hot fudge, and graham cracker. It’s Disney S’mores … for adults! Take your drink of choice out on the deck and admire the Beach Pool, which is hands down Disney World’s best pool (there’s even a freaking shipwreck). Resist the urge to jump in, though. You’ll get kicked out. Once you’re done with your drink, walk toward the water and find the lighthouse. That’s the stop for the ferry. Take the ferry back to Disney’s Hollywood Studios. Once at Hollywood Studios, head to the buses and grab a ride to Disney’s Old Key West Resort. The Pina Colada at the Gurgling Suitcase in Disney’s Old Key West Resort, one of the tiniest stops on the Disney Resort Bar Crawl! Old Key West is a Disney Vacation Club Resort with a Margaritaville vibe. So like, old white dudes in Hawaiian shirts. We’re not exaggerating, either: they were playing Margaritaville when we visited, and nearly every guest was an old white dude wearing a Hawaiian shirt. It’s not exactly our vibe of choice, but don’t worry, The Gurgling Suitcase is worth a stop. The Gurgling Suitcase bar itself is a hole in the wall spot that seats less than ten people. You’ll find a big menu of yummy fancy cocktails and frozen drinks, and some draft beers. Our pick is the Pina CoLAVA: raspberry Bacardi, Pina Colada mix, and raspberry syrup. It’s surprisingly not as sweet as it sounds, but just as addictive as you’d expect. For those of you who remember when they had that amazing Raspberry Pina Coladas at Animal Kingdom about 5 years ago, this is it! Ooh, I just dated myself, didn’t I? Right outside, you’ll find the boat dock. Take a ferry back to Disney Springs, where you started. No, you’re not done yet, don’t you worry…. The bar itself serves up drinks inspired by regions of the world Jock has flown with his trusty co-pilot/pet python, Reggie. With a menu that includes everything from Shanghai Slings, Pisco Sours, Scotch flights, and Long Island Ice Teas, there’s something for everyone here. But good luck choosing! The most popular drink comes from the glowing green jug on the counter: Reggie’s Revenge, a sweet tooth inducing mix of Midori, mandarin vodka, and tropical juices. Feel free to explore more of Disney Springs at this point. Since you’re not going in the park, this is a good opportunity to pick up a Disney souvenir or shop or grab a Mickey Bar or whatever. Once you’re ready to go, head back to the boat landing and take a ferry to Disney’s Port Orleans Riverside Resort. Once you arrive at Disney’s Port Orleans Riverside Resort, head to the pool where you’ll find Muddy Rivers, the last pool bar on our list. Muddy Rivers is one of the rare pool bars that has a unique menu. This bayou themed bar serves up Mardi Gras inspired flavors. I recommend the very boozy Hurricane, but a lot of people opt for the All That Jazz, which contains three drinks floating on each other. Be careful not to stir up the flavors with it though – it’s most Instagrammable pre-stir! After a drink and a beignet or two (they’re the bees knees! ), schlep your way to the lobby. After you exit, hang a right to get to the bus terminal and catch the bus for Magic Kingdom. From there, you can either bus OR ferry to my favorite resort, The Wilderness Lodge. Sorry to get you so close to the castle, only to make you leave again. You’ll probably be arriving at Disney’s Wilderness Lodge at or around sunset. But don’t worry: the gorgeous inside of the Wilderness Lodge is even more jaw-dropping than the scenic outside. It won’t take you long to figure out why I love this resort so much. It’s basically a California mountain lodge. Everything is dark wood, Native American inspired prints, or straight up trees and rocks. And the Wilderness Lounge is home to one of my favorite Disney restaurants: The Whispering Canyon Cafe. This is the best place to stop for dinner on the Disney Resort Bar Crawl for budget-friendly and unlimited food. Yes, bottomless bbq. It’s delicious, and the restaurant full of fun, Disney themed ridiculousness! Think 50’s Prime Time Cafe attitude meets the Liberty Tree Tavern’s food. Be sure to put your name on the waitlist while you go grab a drink. Oh, and while you’re eating, don’t forget to ask for ketchup. Inside Disney’s Wilderness Lodge, You’ll head to the Territory Lounge, a bar with a frontier theme that serves up a variety of beers, cocktails, and Pacific Northwestern wines. Their beer list contained the best beer we had at Disney: The Nib Smuggler from Funky Buddha. It’s a cocoa nib and vanilla bean chocolate milk porter. But sadly, it’s seasonal. Womp womp. After you’re done relaxing in the quiet Territory Lounge (or eating at the rowdy Whispering Canyon Cafe), head to the back of the resort. Past the pool, you’ll find the landing to the boats. Take a boat to one of the Disney World monorail resorts: Disney’s Contemporary Resort. There’s a nice bar here – and it’s one of the stops on the Monorail Bar Crawl – but we’ve found that it’s hard to get into at night (because it offers an amazing view of the fireworks in Magic Kingdom!) so give it a try if you like, but officially, we’re moving on. Find the monorail on the fourth floor of Disney’s Contemporary Resort and hop on. Get off in two stops at my favorite resort: Disney’s Polynesian Resort. Don’t anger the Tiki Goddess watching over Trader Sam’s Grog Grotto at Disney’s Polynesian Resort by ordering the Uh Oa drink … BEWARE! Trader Sam’s Grog Grotto is our favorite Disney Bar and the last stop on the Disney Resort Bar Crawl. Downstairs at Disney’s Polynesian Resort, you’ll follow signs for Trader Sam’s, one of the most beloved bars in all of Disney. You might have heard Trader Sam’s described as one of the best and most fun Disney World bars; if not, you’re welcome. It’s incredible! You’d think there should be some gigantic entrance to this epic, amazing Disney bar, right? Trader Sam’s is located at the end of a crappy little hallway behind a blink-and-you’ll-miss-it door. This isn’t a complaint though, because we totally dig the secret, hidden vibe. It reminds me of the (now way too crowded) Smuggler’s Cove in San Francisco, one of the best themed bars in San Francisco. Plus, the mystique kinda shrouds Trader Sam’s from the masses, keeping it one of the best kept Disney World secrets. Once you enter the door you’re greeted by a host and escorted into the tiny, dark Trader Sam’s Grog Grotto. The bar kind of looks like a storage room for The Jungle Cruise props. The reason for this is if you’ve ever ridden the cruise, you might remember the shrunken head dealer named, you guessed it, Trader Sam. The menu has playful twists on classic tiki bar cocktails – for instance the Zombie Shrunken Head, a classic Zombie cocktail served in a souvenir shrunken head mug… by a zombie! The stiff drinks and themed decor aren’t the reasons why Trader Sam’s Grog Grotto is our favorite Disney World bar. The real reason? This is a Disney World bar that you might hear casually referred to as a ride! What we mean is this: each drink has a different experience associated with it. Order a Zombie Shrunken Head and your waiter comes out of the back moving like an extra from The Walking Dead. Order an Uh Oa and awaken the Tiki Goddess, who will take her wrath out on the entire bar. Order the Hurricane and you’ll find yourself whipped with wind and rain. Sit in one of the “cursed seats” and about an hour in, you’ll find you’ve slowly been lowered to be eye level with the table. Surprise! It’s experiences like this that keep people laughing and drinking all through the night. We recommend sitting at the community table in the center of the room. We met some other vacationers (and one off duty cast member!) and were all friends after a couple of drinks and a few hours of company! We chose Trader Sam’s Grog Grotto as the last stop on the Disney World Resort Bar Crawl for a reason: you won’t want to leave! It’s hands down the best and most fun Disney World bar, and we know you’ll love it as much as we do. At 9PM, take your drink onto the deck or the beach at Disney’s Polynesian Resort. Trust us, you won’t be the only one. From here, look out over the water to Magic Kingdom, where you get a clear view across the water of the nightly fireworks spectacular and listen to the music on the speakers outside the Polynesian Resort. During our last show, we said a tearful goodbye to “Wishes,” which will be playing its swan song soon. Whatever the new show is, I’m sure it will have the words “dream” and “believe” and “magic” in it several times and I can tell you from experience that the drunker you are, the more likely you are to cry. I’m not the only one who always tears up during the fireworks shows, right?! After the fireworks show, your amazing night of Disney bar crawl fun is over (that is, unless you’re still up for another few drinks at Trader Sam’s). I’m sure by now you’re a combination of drunk and exhausted, so let’s get you back to your hotel. If you’re staying at a Disney World resort, take the Monorail back to the Ticket & Transport Center to get a bus back to your resort. If you’re not staying at a Disney World resort, outside Disney’s Polynesian Resort is the bus to Disney Springs, which you’ll take. In my opinion, this is the perfect time to get some drunk poutine and a dessert at Disney Springs. If you parked at Disney Springs and you have a DD, have a great night! If you didn’t assign a DD, take an Uber or a Lyft home – Disney Springs is easily accessible from any hotel close to Disney World. NEVER drink and drive. Always be safe! What’s that Disney Cast Member motto again? Oh yeah … Safe D Begins with Me! I love the Disney World parks, but I can’t afford to visit them every day on a Disney World vacation. So instead, I squeeze in days at the Disney Resorts to save money! The Disney World Bar Crawl is pretty complicated when it comes to remembering which transportation to take to what resort, and since you can’t just pull up Google Maps for private Disney transit, we’ve designed a handy printable for you! To download a printable copy of the Disney Resort Bar Crawl directions, just enter your email below. We’ll also send you some of my favorite Cast Member insider tips for visiting Disney World! By the way: if you’re looking for a magical way to bring your next Disney World trip to the next level, check out our epic Disney World Scavenger Hunt! With 250 points at stake and 75 challenges designed to help you discover and experience Disney World like you never have before, this game will bring a whole new level of fun (and friendly competition – or unnecessarily aggressive competition, in our case) to your next Disney World trip. Oh, and YES: We intentionally added in quite a bit of overlap with our Disney World Resort Bar Crawl, so you can rack up points while you toss ’em back. Complete them together for a pretty freakin’ drunken magical day! 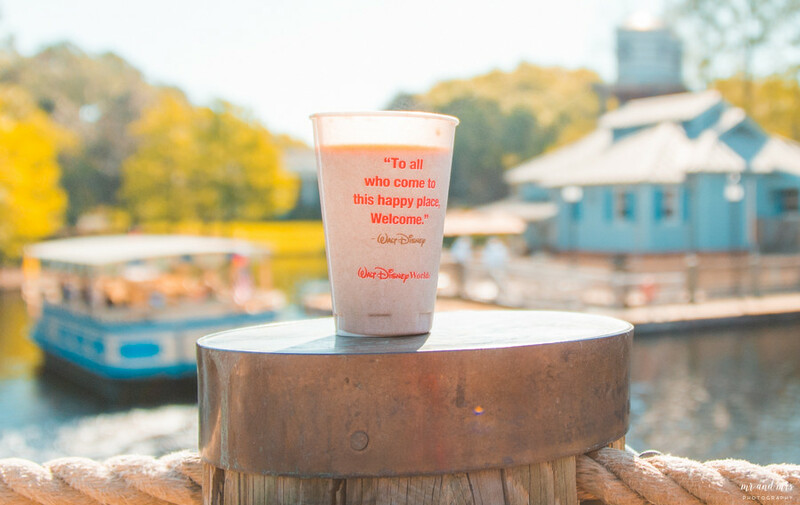 Which delicious Disney drink are you most excited to try? Leave us a comment below! Did you like our Disney World Resort Bar Crawl? Please share it on Pinterest! Note: full sized image can be found by clicking the Pin It button. Get the Disney World Scavenger Hunt! next: Chocolate & Booze: The Ultra San Francisco Chocolate Tour! Wow. This is so detailed and really cool. I always associated Disney with kids and exorbitant prices. Never saw it in this light. Just wow, so useful! Awesome! We met a few Orlando locals while we were researching for this post (*ahem* ~researching~ aka day drinking…) and we definitely designed it with y’all in mind! Um, can we be best friends?! I’m a Disney loving, bourbon drinking girl too!! This sounds like the best day ever! Disney and booze = winning! I only went to Disney World when I was little (though I was in Disneyland Resort last year and Disneyland Paris in 2012 and now have an annual pass) but when I eventually make it back there I will definitely be doing a disney bar crawl! Great post. In my extremely biased opinion, no other Disney park is as amazing as Walt Disney World. I think mostly because of SIZE alone, but every time I go to the other parks I’m like “awww, you guys are cute.” Hehehe. Save this for when you finally come back! I loved reading this. This sounds like such fun! I was last under 21 when I visited Disney, but when I go back, that 7 flights of beer… That sounds fantastic. Insider tips are the best! This is so epic! I cant even! its amazing! I want to go right now! Wow this an amazing guide and i loved your pics!! OMGOSH! This is SO FUN! I can;t wait to try out the bar crawl and scavenger hunt you made! I have been to Disney World about 17 times but have not gone recently! Can’t wait to return! Yay, go back! It seems to change every year just enough to make me excited to visit again, but stay the same just enough to keep things nostalgic. This is so great! So many people drink around the world in Epcot, and this is a great twist on that. The resorts offer so many great things, and I like to spend at least a day of every trip just exploring them. We totally agree! The resorts are amazing and a fantastic place to spend a day outside of the parks exploring. Ok. We didn’t really have any desire to go to Disney, but that’s totally changed now. We’re sold! There’s nothing we love more than a bar crawl, and I love this unique twist on a Disney guide! Favorite post on the internet lol. I absolutely believe that Disney World is for grown ups and you’re helping prove that. And you’re totally right – the All Star resorts are dirt cheap but you still get all the benefits of staying at a Disney resort! Love them. If you followed this plan exactly, how much money would you say you spent for 2 people doing the crawl? Thanks. Planning a date day for hubby and I! Oh my gosh I am SOOO excited for this bar crawl. My husband and I live in SWFL but we are making our first trip to Disney mid-December and this will be a perfect day in between park days! I know Disney isn’t just for kids but it is still for FAMILIES. I don’t think posts like this are very appropriate. I have taken my family to Disney World every year for over 20 years. Obviously my kids are now older, and we all enjoy a drink or two at Epcot World Showcase. However, my favorite festival is now ruined for me. The Food & Wine Festival is not appropriate for children on weekend nights. I was there in September 2017 and have never had such a bad time at my FAVORITE park. Drunk people being loud, rude, and sometimes downright obnoxious. I got bumped into, pushed, and even shoved once. I also saw a lot more behavior that is not appropriate for a family park. Period. We were so upset that we emailed Disney when home and they actually called us back. We saw overworked bartenders who could not possibly monitor intoxication levels. We even saw a Disney photographer taking a photo of a drunk couple in which the male had his hand down the girl’s top inside her bra. We had a 7 year old neighbor with us and were horrified by the entire night. Posts like yours just add to this alcohol culture which just shouldn’t be carried over to Walt Disney World. Festivals with drunk bad behaving guests. Open bars of hard alcohol on the streets in Disney Studios. Wine and Beer being sold in restaurants at Magic Kingdom. Walt is rolling over in his grave. And with all the attention on the World Cup right now let’s not forget to mention the life time banning of woman’s soccer player Alex Morgan for her drunken screaming match outside of the England Pavilion. Epcot is a place to enjoy a good meal and a drink or two. Not a place for crawls and getting drunk. You make a great point! I don’t want to see drunken messy people any more than you do. I strongly encourage anyone who will be partaking at Disney to keep it together and stay responsible. When my husband and I did this Bar Crawl (as we created it), we shared a drink at each spot, so we never really got much more than pleasantly tipsy. I think that’s a responsible level of intake and perfectly safe. Besides, there shouldn’t be any kids in the Resort Bars anyway- and you won’t be going into the parks at all on this Bar Crawl! During this bar crawl, will we ever have a chance to run into any of the characters? Or do they keep all of that inside the park? My friends and I want photo ops, but we’re trying to decide if that’s worth buying an actual ticket into the park, or if we should just spend our day at Disney doing this instead.